*Actual On Road Price of Triumph Thruxton R at the dealership may vary. The café racer from Triumph is all-new with new styling inspired by contemporary custom café racers, new 1200 cc parallel-twin engine, and with a host of rider focussed technology – switchable ABS, switchable traction control, torque assist clutch, ride-by-wire with three different riding modes – rain, road and sport. Also new is a new chassis, new high-spec suspension and Brembo calipers taking care of braking duties. 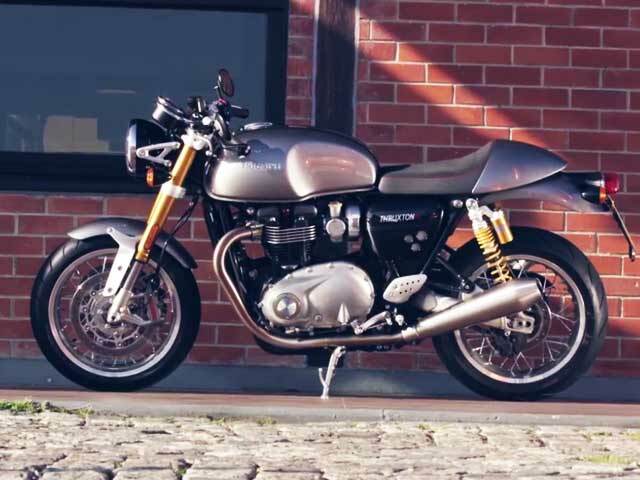 The new Thruxton R offers a sporty café racer, more in line with the sporty personality associated with the retro racers, with the performance to back its image. Good bike. Runs well. Is stylish.